Our society puts models and celebrities on a pedestal, and the rest of us think we could never look like the women we see in the media. As photographer and stylist, we know there is no perfect beauty, and we’ve helped transform models and actresses with make up, wardrobe, lighting, and even special camera lenses. As we worked, we watched a new persona emerge. We want all women to have a chance to experience this for themselves, and we offer our skills to you. We understand how the lights work with your bone structure and your body angles, how to highlight your best features and work around your imperfections. Just as we’ve done with supermodels and actresses, we work magic with our trade secrets, all to capture your individual beauty in compelling photos. Shari Geffen has styled some of Hollywood’s iconic beauties of our day, including movie and television stars and recording artists. She has dressed celebrities such as Julia Roberts, Sarah Jessica Parker, Johnny Depp, Antonio Banderas, Dustin Hoffman, just to name a few. She has also worked with some of the most famous photographers of our time. 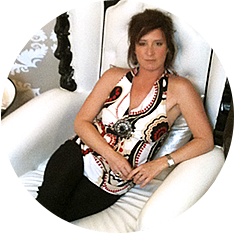 As a fashion editor and contributor to national and international magazines, Shari has styled and produced fashion editorials and photo shoots around the world. She has costume designed shows for television and co-produced a mini series on fashion trends for ABC News. 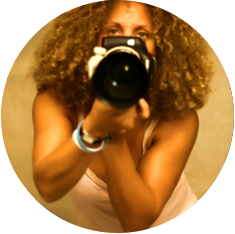 A photo publicist and producer for ABC Television and other major TV and film studios, Shari is a creative force on both sides of the camera, and was creative producer of global ad campaigns for Coca Cola and Creative Artists Agency. Shari designed national marketing campaigns for major record labels, winning a gold record for her innovative marketing concept featured on the cover of Billboard magazine. Shari has managed talent acquisition for ad agencies and collaborated with creative directors to execute their artistic vision. Shari approaches each of her subjects and creates an exclusive identity perceived by her experienced eye. “I’ve learned that beauty is more than just powder and paint. whose work has produced so many unforgettable images.